The Veterans Service Commission employs three (3) Service Officers to assist veterans and their dependents in filing claims for compensation, non-service connected improved pensions, dependency indemnity compensation, death benefits or any other assistance required. 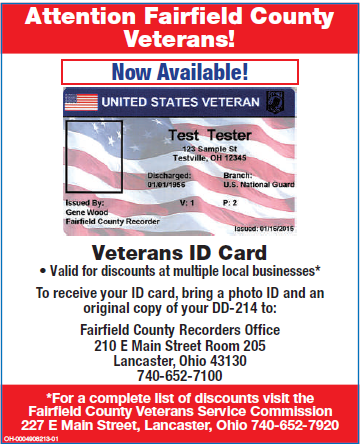 They Service Officers are accredited by the Ohio Department of Veteran Services and attend yearly training seminars for certification. The Veterans Service Commission provides Emegency Financial Assistance to honorably discharges veterans and dependents who are experiencing a temporary financial hardship. This assitance is not an entitlement, but a helping hand to help them get back on their feet so they can make arrangements to help themselves. The amount and types of assistance given is determined by 5901 Ohio Revised Code and the Veterans Service Commission's assistance guidelines. The Veterans Service Commission provides transportation for Fairfield County veterans that are enrolled in the VA Healthcrare System. We will only transport to VA Medical Centers unless the VA contracts to have services provided in the private sector. Our transportation does not include the local CBOC due to having the Lancaster Public Transit System that will transport disabled veterans at a reduced cost. This service is provided for veterans that cannot transport themselves due to health or financial reasons. If you are financialy or physically able to transport yourself, Please do not use this service and cause someone in need to be left behind. The Veterans Service Commission provides flag holders and flags to decorate Fairfield County cemeteries on Memorial Day. Our goal is that every veteran's grave has a flag displayed to commemorate the sacrifice he made by serving his country. Our Thanks are expressed to the Service Organizations that provide the volunteers to place a flag in every flag holder on Memorial Day. Without them this commemoration to honor or deceased veterans would not be possible. If you find your loved one's flag holder is missing or damaged, you can obtain a replacement at the Veterans Service Commission Office. For the Office location, view contact information. 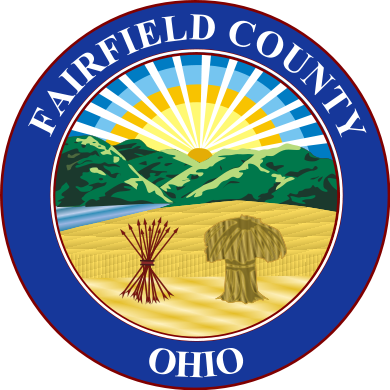 © 2019 Fairfield County Veteran Service Commission, Lancaster, Ohio 43130 - All rights reserved.